If you read my Sunday Edit post last week, you’ll know I spoke about how it’s important to set some time aside for yourself to relax and create some inner calm, click here if you didn’t get a chance to read it. For me, it’s the evenings where I like to wind down and this normally involves running myself a bath, popping on a mask, and just taking the extra time to moisturise my skin…..it’s so relaxing. There are so many specific things out there targeted at de-stressing and of course if the purse strings are a bit tight a little DIY beauty is a good option, but if you’ve got a bit of money to spend or are looking for something to put on your Christmas wishlist, I’ve got two recommendations which really help add to that whole self-indulgent experience. 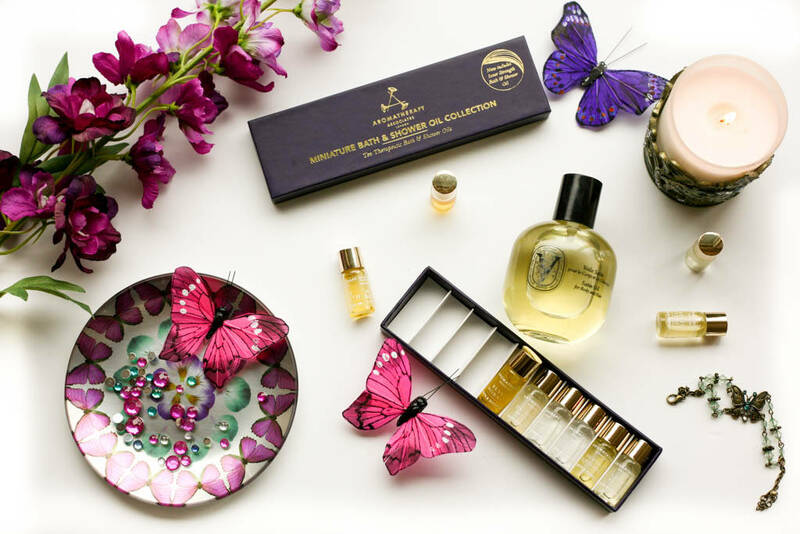 The first is the Aromatherapy Associates Miniature Bath & Shower Oil Collection. 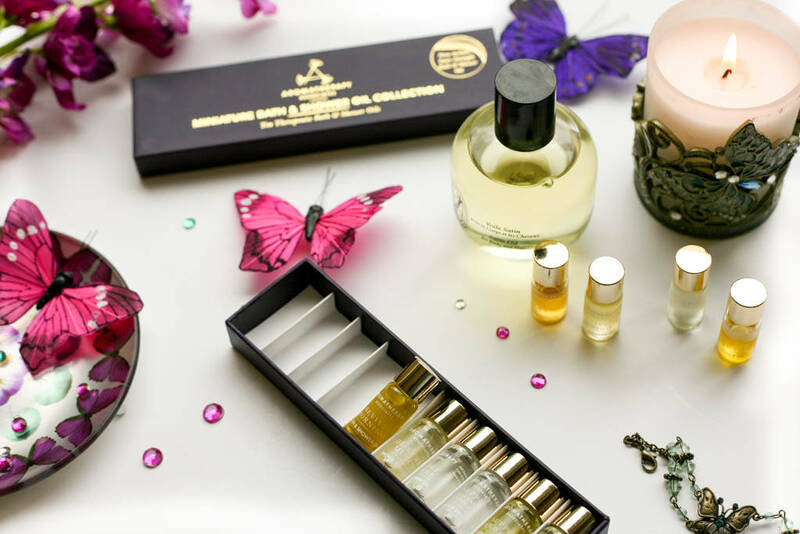 This also makes for a great gift option as it has all of the 10 award-winning bath and shower oils in 3ml bottles, so it’s a great way to try everything in one go. With the options including Deep Relax, De-stress Mind, Inner Strength, Support Equilibrium and De-stress Muscle to name a few, this really does bring a spa-like experience to the home and for a good nights sleep and helping to ease those everyday strains and stresses this is pretty good value for money. Definitely check these out if you can. The next product is the Diptyque Satin Oil for Body and Hair. 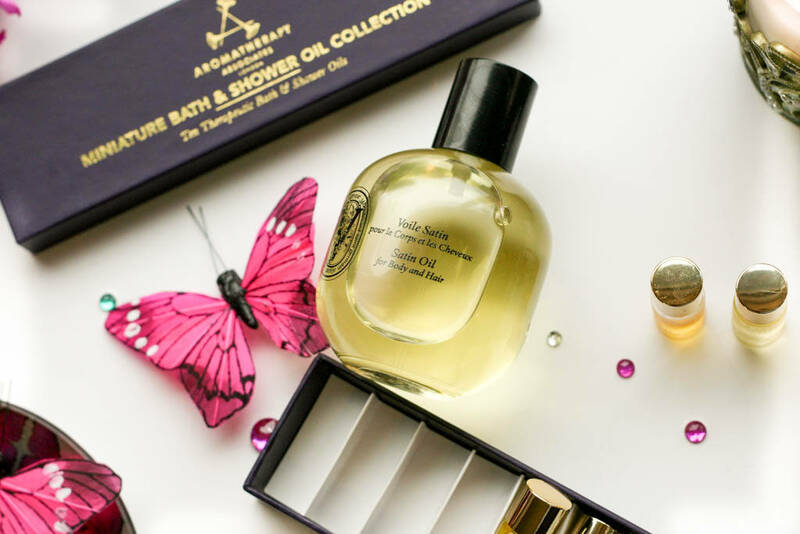 Although you can use this morning or evening, I like to use it in the evenings as it really nourishes the skin making it silky soft the next morning and the scent is pretty amazing too as the notes consist of saffron, jasmine and ylang-ylang….very typical of Diptyque. I’ve yet to try it on the hair but as you can tell this is a great little multi-tasker as it could double up as a perfume if you choose to use it during the day.